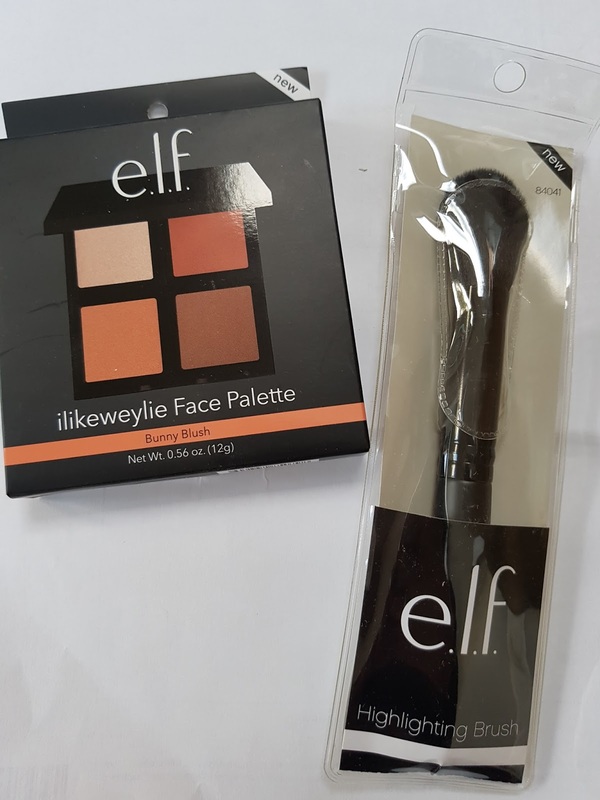 "Oh hello Elf, long time not seen you, look at you, you look pretty stunning!" 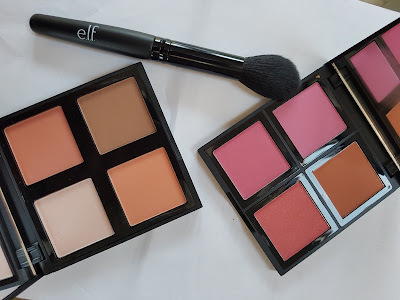 Yes, if I had a conversation with Elf cosmetics right now it would be something like this. I remember buying elf years and years ago, finding their products cheap crap hence forgetting about it. Then the brand has undergone a major revamp, with better packaging but most of all better product. The range has been extended with an excellent skincare line and constant new releases, with an updated Instagram page where to find looks, new launches etc. For a skincare/make up addicted like me, this looked quite appealing so there I was placing an order. 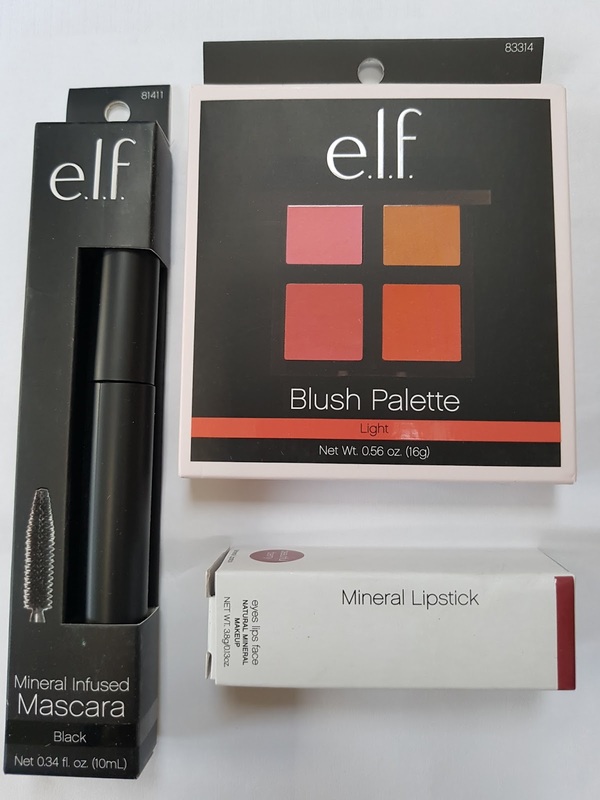 I took advantage of an offer they had few months back so I got a 3 pieces make up set for free. First thing then, keep an eye on their social outlets or subscribe to the newsletter cos they always have offers going on. At the moment for exemple, a different 3 pieces set comes for free with your order. Second important fact: costumer service is brill! I had a proble with the order and the free gift and they offered me to sent it even if the deal had expired by then. great isn't it? 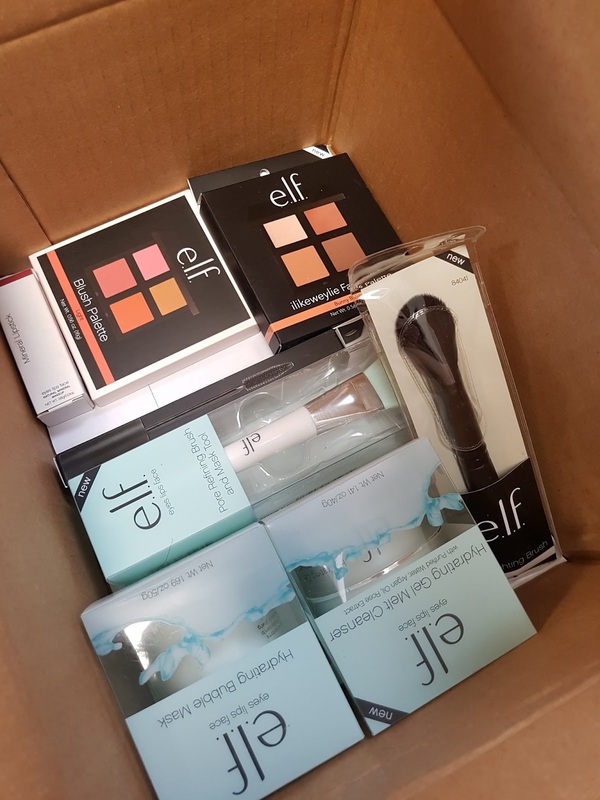 My order took about a week to come, I decided to try some skincare bits together with some make up and I am pleased to say it turned out to be a very wise decision. Let's start with make up. This palette was a LE, inside there are 4 powder for contouring. I found the ppowders a bit chalky but they blend well and the 2 dark shades are perfect for for contouring. If there is something that can really make a difference in your highlighting technique, that is a good brush. 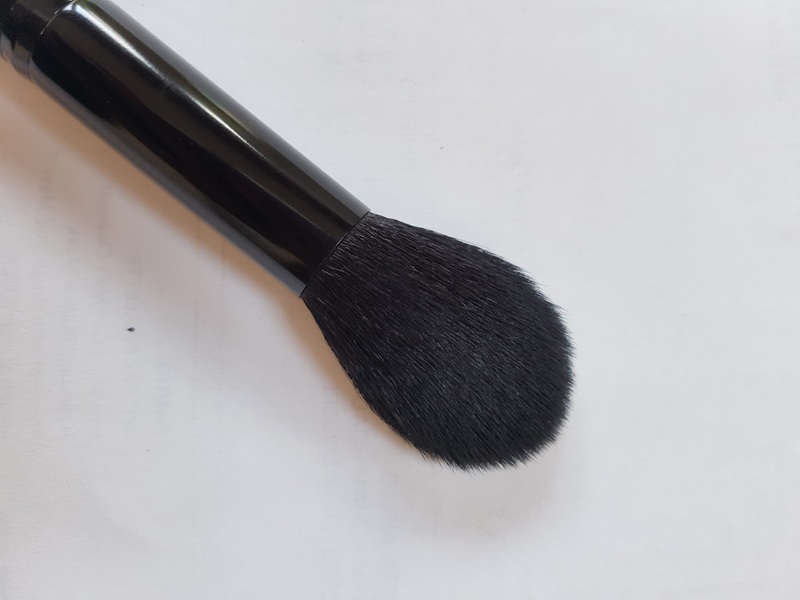 It is slim and tapered for a precise application, it is easy to handle and the bristles are very soft for a good blending of the powders. Here is the link to the website, it is only 34.50, such a bargain. 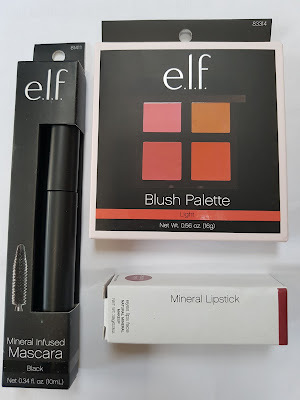 Mascara, Mineral Lipstick and the Blush Palette were the gift set (Incredible isn't it?). 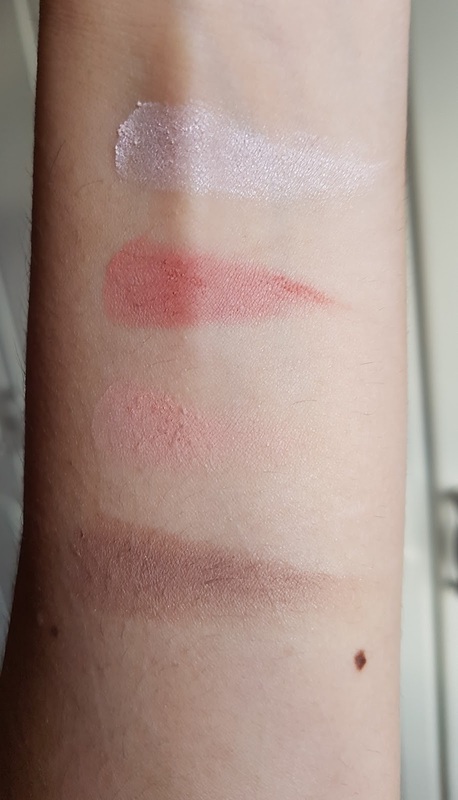 I gave the mascara and the lipstick to my friend so I can only review and swatch the palette, that is indeed, fabulous. It is very very pigmented, you need to be careful with that brush, it reminds me about the sleek make up blushes. 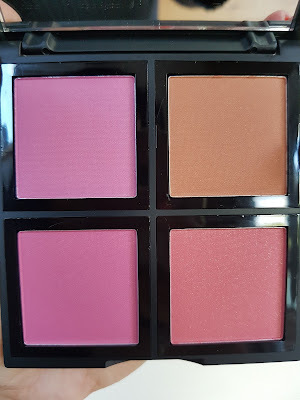 It has two pink shades, one darker, one lighter, a peach tone and a more brown-pink one. I was impressed about the lasting effect of these blushes, I applied the peach shade in the morning, was still perfect at night. 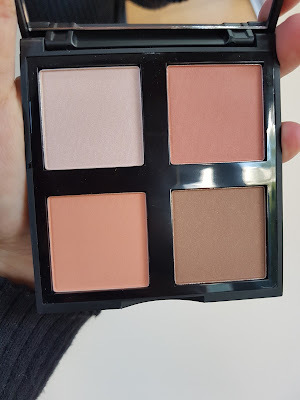 Priced £7.50, it has a cream version that I would really like to try. Now, let's move on to the skincare. What a pleasant discovery these two gems were. The Hydrating melting gel cleanser is one of the most gentle and effective cleansing balm I have ever tried. 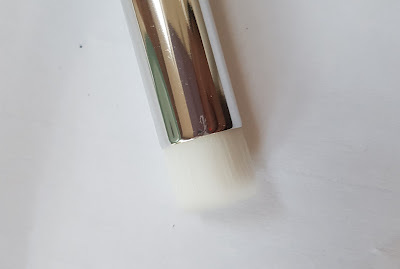 In the pot looks like a solid gel but once you start massaging onto your face, it turns into a soft oil taht removes every kind of make up, stubborn liquid lipsticks included. 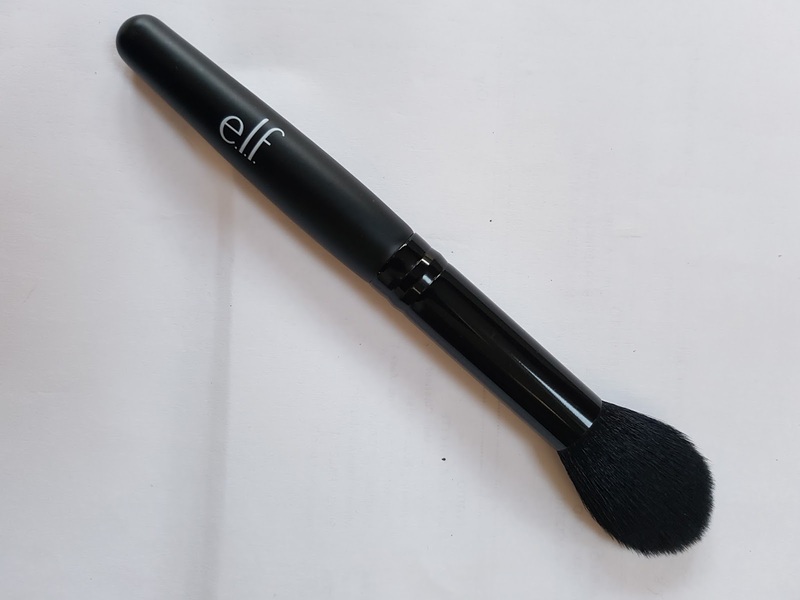 It doesn't contain parabens, sulfates and has a very light scent. 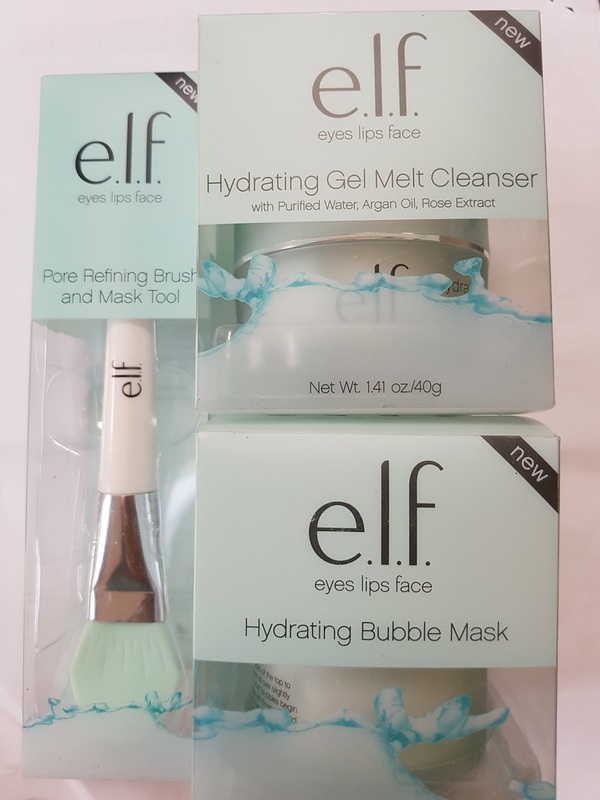 You would think £12.50 is not a very friendly price for a budget brand like Elf but I am sure once you tried this gel you will be happy of the money spent. The Hydrating Bubble Mask is clearly inspired by the korean bubble masks seen everywhere on social media. 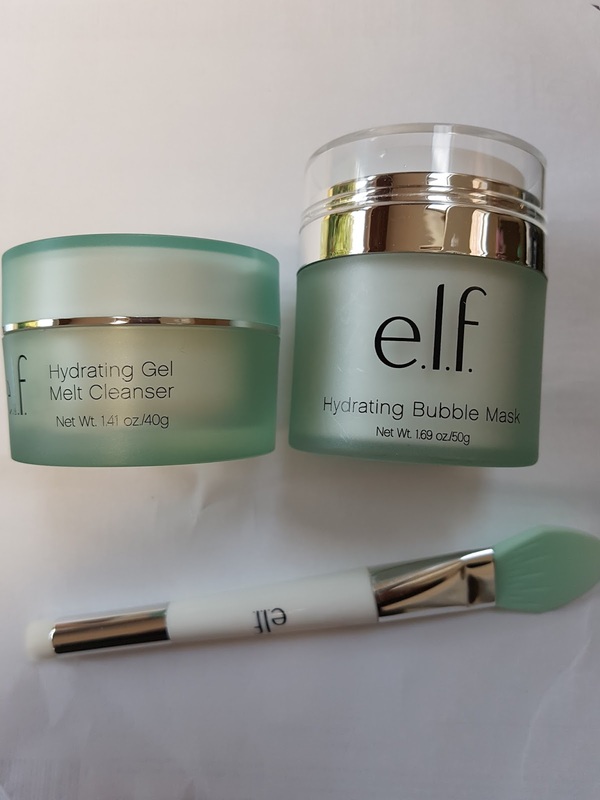 You know the concept: you apply the mask, let it foam with all those nice soft bubbles and rinse after 10 minutes more or less when the bubbles start to dissipate and you will have a very soft, smooth and clean skin as promised. 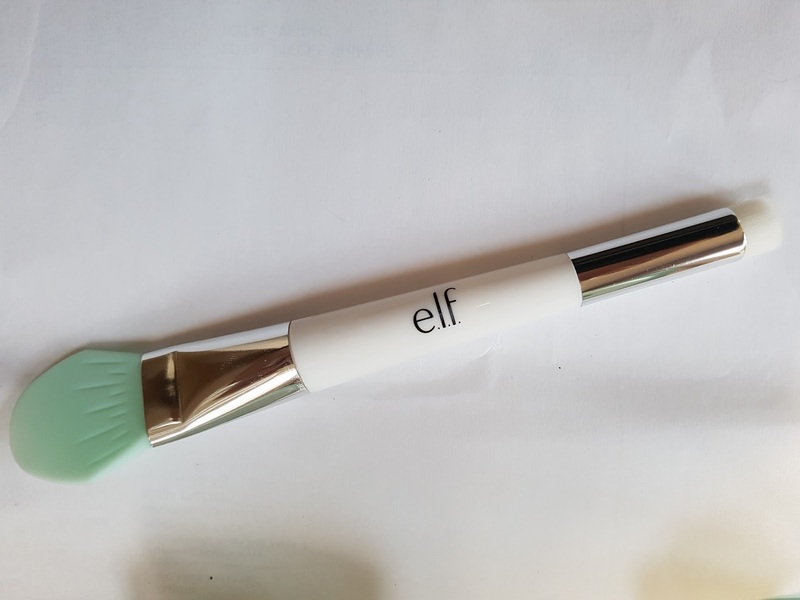 Last but not least, I got the Pore Refining Brush and Mask tool. 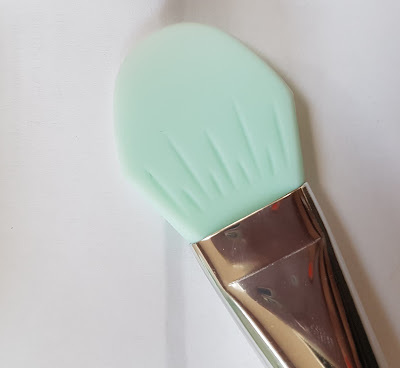 This is a double ended brush with a silicone spatula on one side, to apply face mask and a pore brush on the other, to do a deeper clean of problematic areas as for exemple the side of the nose where we tent to have more spots and blackheads. I am absolutely delighted with everything I bought, I really recommend you to try the gel cleanser cos it was the product that really standed out for me. On the wishlist now I have got the new Nourishing Oil to Foam Cleanser and the Beautifully Precise Face Brush Collection.